One alcoholic told me that the only way for him to get clean was for him to do all of the work, there was no other way. What he was not considering is that as human beings, we are not wired that way. We are wired for relationship. We are not meant for isolation. Moreover, what if I told you that you can’t do it all on your own strength, that you need something from somebody else? 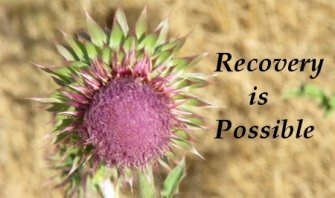 The Alcohol Recovery 12-Step process for recovery was first created in the 1930’s, by Alcoholics Anonymous, but over the last 70 plus years, over 250 self-help groups have adopted these steps. Alcohol Recovery 12-Step -- What is it like? To appreciate the roots of the Alcohol Recovery 12-Step program we need to spend a moment to look into the personal history of Alcoholics Anonymous founder Bill Wilson. I think my daughter is an alcoholic? I believe my 28 yr old daughter is an alcoholic. When I try to talk to her about it, she either gets mad or just walks off. Then I don't hear from her for weeks. What do I do or say to help her? Alcoholics are never wrong, because they never have a problem. It's always you with the problem. Your daughter is in denial and will likely be the very last person to admit that she has a disease she cannot control. You need to get educated because you're in for a fight. Al-Anon is an excellent resource. Also, get the family members together for a conference because you can't do this alone. You'll need an army and family is the key to getting your daughter into treatment. Joe Herzanek's book, "Why Don't They Just Quit?" is a terrific guide, as is "Getting Them Sober" by Toby Drews. You need to educate yourself, educate the family. W.C. Fields once said "Never smarted up a chump," and that's what your daughter is counting on--that you will never smarten up and she can keep drinking. Make some calls and prepare for a difficult task, but a rewarding outcome. You can do this! Is an addict or alcoholic ever cured? My husband has been drinking since he was a kid. Thankfully he has stopped drinking and is now in recovery. When will he be cured? Is he already cured? How will I know he won't start again? Is and addict or alcoholic ever cured? I won't go into too much detail, but in the year 2011 I was in rehab four different times, 14 to 21 days each. Plus three times in detox and several trips to the local hospital. On Dec 13, 2011, the doctor said I would not live through the night. Well, here is it is Oct 18, 2012, and I'm still kicking. EACH time I was told I could never drink again, and EACH time I proved them wrong. Once a person crosses that line to alcoholic addiction, it's to late to cross back over. I have not had a drink of alcohol since Dec 13, 2011, and I now know I will never be cured. Some people are wondering if I will ever be cured. I will be cured when I take my last breath. I became a Christian on the evening of Oct 15, 2012, and the craving has since gone away. as well as millions of other addicts need maintenance. 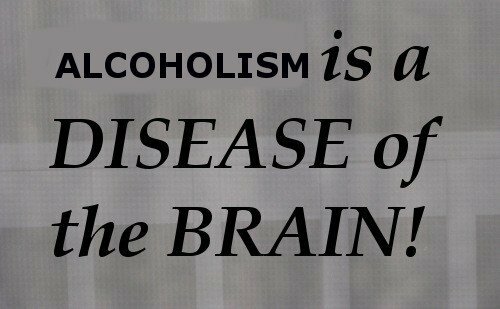 In my opinion: No addict or alcoholic is EVER CURED. In today's world in which more and more information is readily available, there seems to be more and more confusion regarding the topic of an "Addiction Cure" Is there a cure for addiction? Some people would argue quite convincingly that there is. I will point out that "even quitting use completely, for many years" does not mean that someone is cured. You'll probably read or hear information on this topic with various points of view. The concept of an addict who has been clean for years and years"not being cured" is a tough one to comprehend. I think one way to approach this is to review a definition of alcohol/or drug addiction. Although there are many signs and symptoms, there is one that is common to all alcoholics and drug addicts, and that is loss of control. At some point a person will lose the ability to control their use. Whether they are daily users or binge users, the common thread is, once they start using they cannot control how much or when to stop. So if we can agree on that point we can go on to a discussion about cure. To me a cure means a reversal, or absence of the problem or disease. In the case of addiction to substances I, in the past thirty-three years, have never seen an addict regain control of their use, to become a social-occasional user. So I believe that if I were to tell someone they are cured, they may think they no longer have a problem. That opens the door to another attempt at social use, which NEVER turns out well. The way I explain it to people is to think of it like cancer. There is no cure for cancer but cancer often goes into remission after treatment. It does not mean they have been cured or that a cure has taken place. It's still there but it's in remission. Personally, I have not used anything since 1977, but I'm not cured. My disease is in remission. If I were to choose to try to drink occasionally or socially I would bring my disease out of remission and very soon it would again cause lots of problems. I don't tell people they have to go to lots of meetings for the rest of their life. Each person will have to decide for his or herself, how much involvement they need to stay sober and how often they should attend support groups. AA and the 12 Steps are the best support for laying that foundation. This is what has worked the best for the most. And in the long run it is, in my opinion, better to err on the side of caution concerning this horrific and devastating disease.